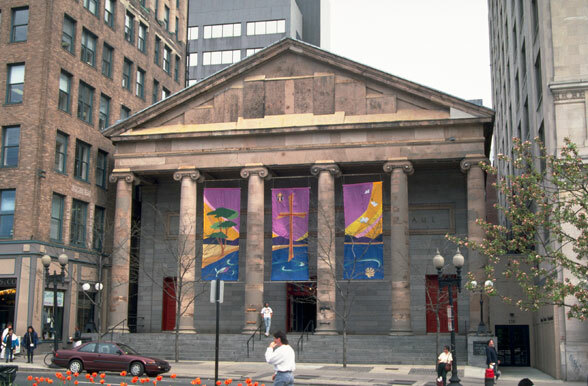 One of the first Greek Revival buildings in America, the 1820 Cathedral Church of St Paul fronts Tremont Street opposite historic Boston Common. Behind the Cathedral are two interconnected early twentieth century buildings: the Sears building, linked directly to the rear of the Cathedral, and the Clark building. 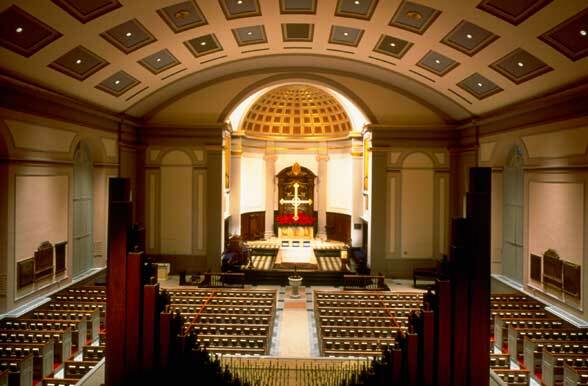 Solomon+Bauer+Giambastiani refurbished the Cathedral's interior, work which included a new patterned granite floor, new lighting, repainting, and an improved sound amplification system. 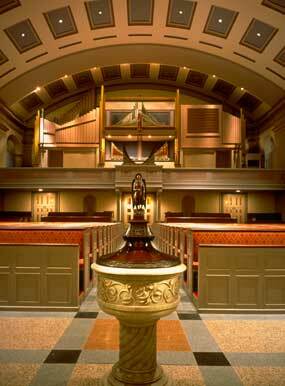 The firm also designed the new cross of gilded wood, bronze, and crystal, suspended over the altar. 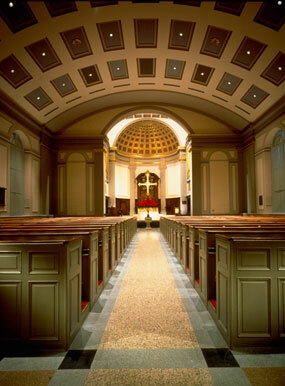 The Sears building was renovated to accommodate Diocesan and Cathedral offices and program functions.